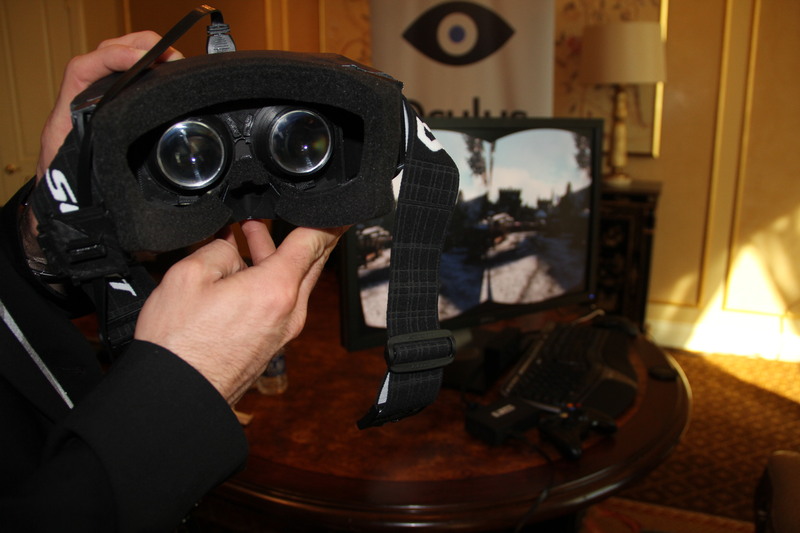 Five days at CES can make anyone feel like they’re stuck in some sort of alternate reality. 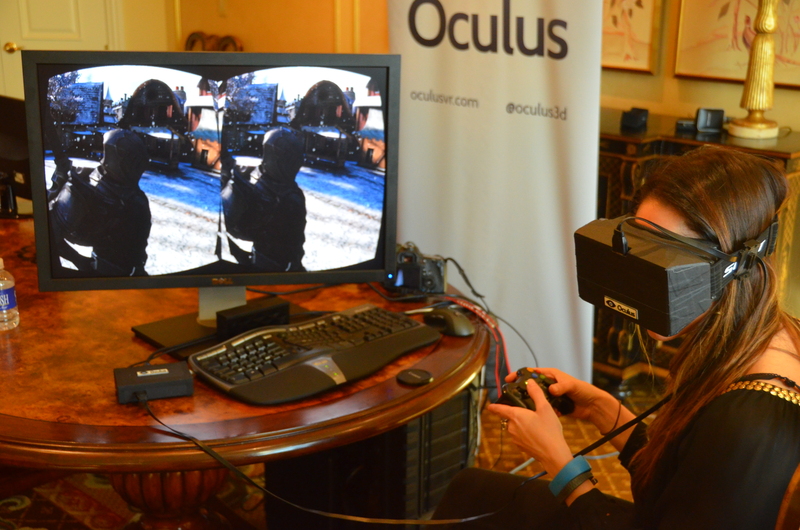 The Oculus Rift gaming headset actually transports you into that world. The headset, created by Palmer Luckey, has built-in virtual reality technology that, along with custom-made game software, makes the wearer feel as though he or she is literally living in a video game. The Rift headset has been in the works for a couple years now, but was one of the most buzzed-about items at CES this week, where the minds behind Irvine-based Oculus were giving private demos. I managed to try it out just before I left Las Vegas. While it may have been the last gadget I saw at the show, it certainly wasn’t the least. I sat in front of a large computer monitor that showed Epic’s Unreal Engine-powered Epic Citadel, a first-person shooter game that’s used for demos across different devices. The Oculus Rift was fitted on my head, a controller was shoved in my hands and the game world that had been in front of me on the monitor was suddenly all around me. By “walking” forward, or propelling myself with the controller, I could approach gun-toting characters within the video game, stare at them and walk through them. I could look up at the sky and down at the cobblestoned ground and see snow falling around me. The Oculus Rift is not a computing device itself. It doesn’t have any high-powered processors in it and the games aren’t streaming inside of it. It’s simply the lens that’s putting you into that gaming world (although the tech is far from simple). Also, cold water time: It’s not yet available to consumers. This was a Kickstarter project that initially set out with a goal to raise $250,000. It raised $2.4 million instead. The current asking price for the Rift is $300. Right now, the company is working on getting thousands of kits into the hands of developers, to ensure there are games that work with the Oculus Rift. CEO Brendan Iribe, who joined Oculus from cloud-based game service Gaikai, declined to specify when it would hit the consumer market, except to say it’s something the company will be working on over the next several months. But, based on my brief interaction with the Oculus Rift, I’d say this is something that should excite both consumers and console makers. While motion-sensor products like the Kinect have breathed some new life into consoles and are making games more immersive, the Oculus Rift takes it a step further and makes virtual reality, well, a reality.